14ga x 3/8" 14ga x 1/2"
Bioplast jewellery can be threaded by metal closures and cut to any length with a sharp blade. Bioplast can be combined with G23 Titanium, Silver, Acrylics, Gold and many other materials. This circular barbell stem is not threaded, so will need to be threaded using your own ball or accessory of choice. We also have a 'Threading Tool' that can be purchased separately, making this process quick and easy! I bought this 1.6mm circular barbell stem for use at hospital appointments. I was very happy with it, it was easy to put in and felt comfortable. Best of all I can attend doctors and scans without having to worry about my piercing closing. Bioplast circular barbells are with out a doubt the most comfy jewellery I have ever bought for my helix piercing. 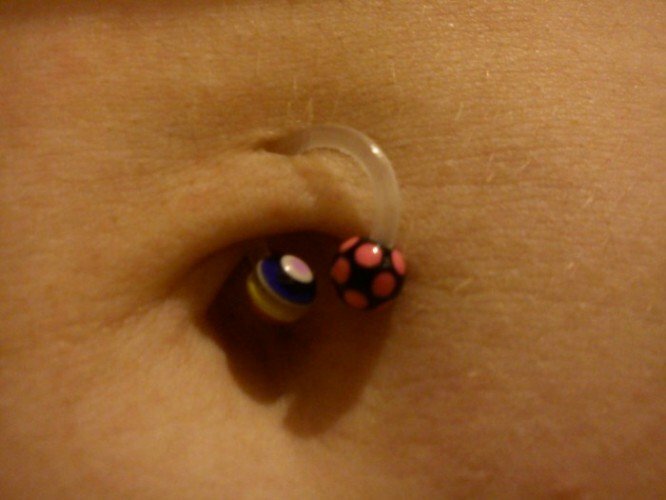 Because it is flexible it just bends a little bit and doesnt pull your piercing. 10 stars! I like this one a lot, because it is very comfy to use in septum, as in the helix. This product is so easy to fit, it is so flexible and pain free, it is invisible when tucked up, no one knows i got it in. Ideal product for those who want to hide their peircing. This feels a little strange at first because it is so light, but i would certainly recommend this product, esp if you have a labret piercing. I bought it as the metal ring was wearing my teeth... my dentist will be happy.... and this is far more comfortable. i am also pleasantly surprised how it looks, can hardly see the ring when 4mm silver threaded balls/accessories are attached. would like more choice of colours in the 1.6mm please! these are great! I was fed up of waking up with sore patches behind my ears from the butterflies on my 4th piercings, they are so comfy. I got the bigger size cos it's roughly the size of piercing studs, so hopefully my holes won't shink right down like the others! Definatly recommend these.